St Louis Video Production Companies has a vast array of crews to bring to your video or film project to life. We have decades of practical experience and creative expertise in full service video production and post. Whether you’re an advertising or marketing firm, a small business or large corporation professional video teams are here for you. We can take care of any or every aspect of your film and video production and post-production needs from shoot to ship. That goes for any type of content and media placement or upload. I truly enjoy shooting CNC and quality calibration machines! Each one can be so different than the previous one we have shot. 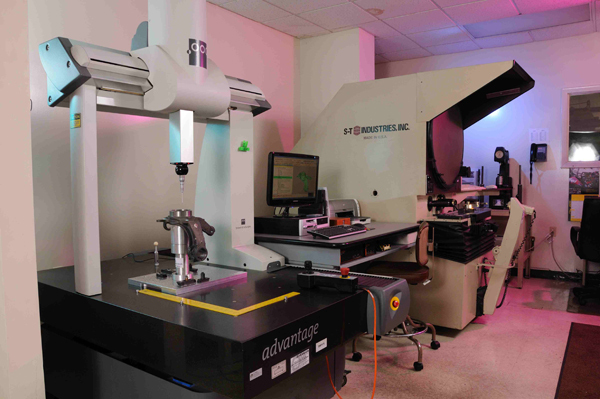 Each individual business utilizes computerized numerical control machines and calibration equipment differently in their own specialized business. The challenge for our video production team is to have them look unique! Using the correct three point film lighting is important for starters, you have to see what action is happening. Adding a gel or a filter to one of the lamps or a fourth lamp helps create a more dramatic look and effect for the shot. When videotaping with my partner, we always like to setup and shoot additional close-ups of the action in the scene. 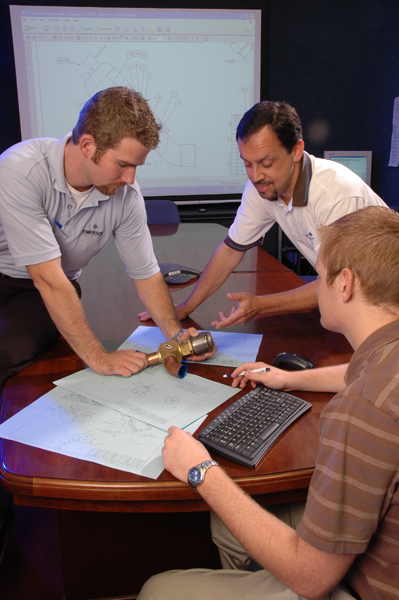 This video production in st louis shooting for Grundex Manufacturing was no different. After this medium shot, we garnered many many close-ups of the scene for more cutting options in video editing and post production graphics creation. As we find ourselves shooting more and more for different sized screens, in many cases close-ups are much better for the smaller screens and video players on your computer. In many instances the mere detail of an action happening is quite interesting, complete with body language. Many times though you are working with in-house talent and by the fifth take, they are getting board so often the best takes are early on in the video production session, while the talent is fresh. Our video team produces many types of video productions. They include promotional videos, training videos and live events. We are sought after by corporations and associations of all sizes because we add value, a fresh perspective, and imagination to every video that we produce. We take your overall communication strategy into account, determining the best way to communicate with your audience. Throughout the video production process, we work closely with you at every step of the way. Our editors are incredibly skilled at technology and storytelling. They know what to leave on the cutting room floor if it is not adding emotion or impact to the narrative.